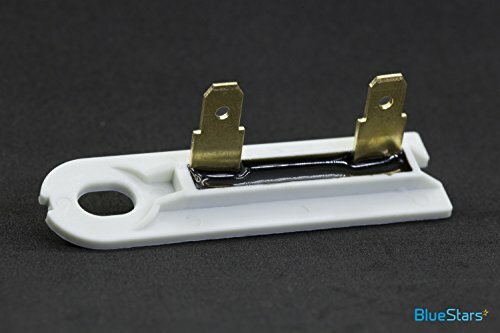 The 3392519 dryer thermal fuse is used in dryers as a safety mechanism that stops the flow of electricity to the motor circuit when a dryer overheats. 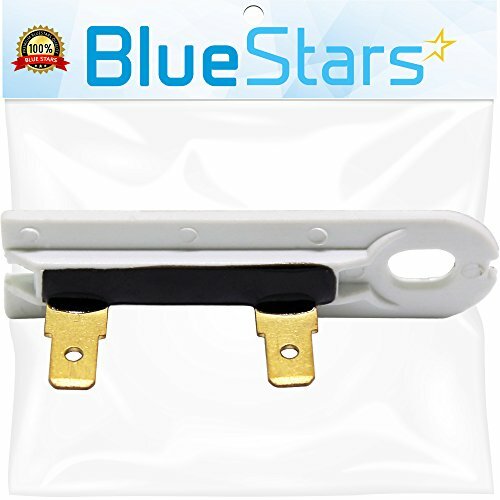 This replacement part features two 3/16 inch terminals, and is sold individually. 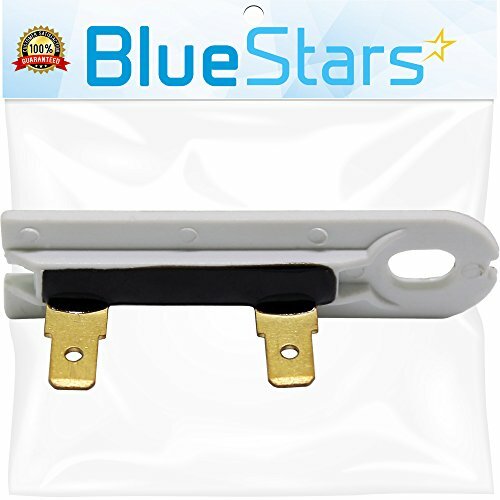 When this fuse is faulty, your dryer will not start or it will not heat properly. This is a one-time fuse, meaning it cannot be re-set. It must be replaced when there is no longer continuity between the terminals. It attaches to the blower wheel housing. Blown fuses can be caused by clogged dryer vents. We recommend checking to make sure all of the vents are clear when you perform this repair. Replaces part numbers: 3388651, 3392519, 694511, 80005, WP3392519VP. Works with most top name brands: Whirlpool, Kenmore, KitchenAid, Roper, Estate, Inglis, Crosley, Maytag, Amana, Admiral, Magic Chef. Count on our 3392519 dryer thermal fuse for an unrivaled mix of durability, convenient functionality, and great value for money. Click 'Add to Cart' now! The Whirlpool brand names and logos are the registered trademarks of their respective owners. Any use of the Whirlpool brand name or model designation for this product is made solely for purposes of demonstrating compatibility.
? MODEL NUMBER: 3392519 dryer thermal fuse ? 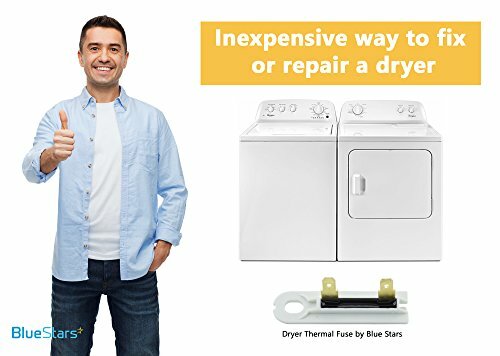 EASY TO INSTALL - It is made exactly fit for most top name brand dryers (Whirlpool, Kenmore, KitchenAid, Roper, Estate, Crosley, Inglis, Maytag, Amana, Admiral, Magic Chef) ? 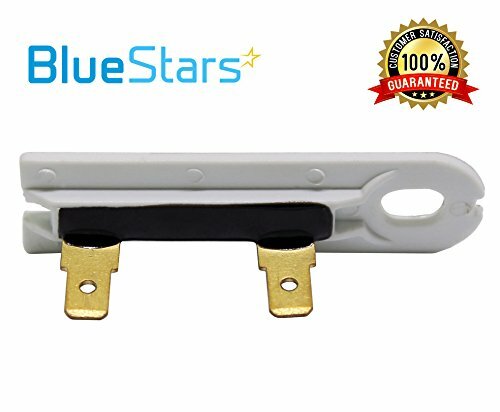 PREMIUM QUALITY - The replacement part is made from high quality material and well-tested by the manufacturer ? 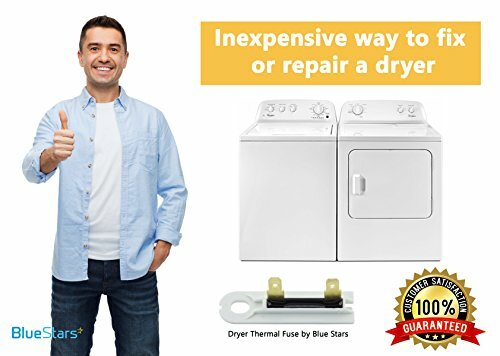 SAVE TIME SAVE MONEY - Inexpensive way to fix or repair a dryer ? MONEY-BACK GUARANTEE - For any reason you're not completely satisfied, you can ask for a replacement or full refund, no questions asked.